I enjoyed teaching a wonderful final session of the Essential Drawing Foundations course this week. 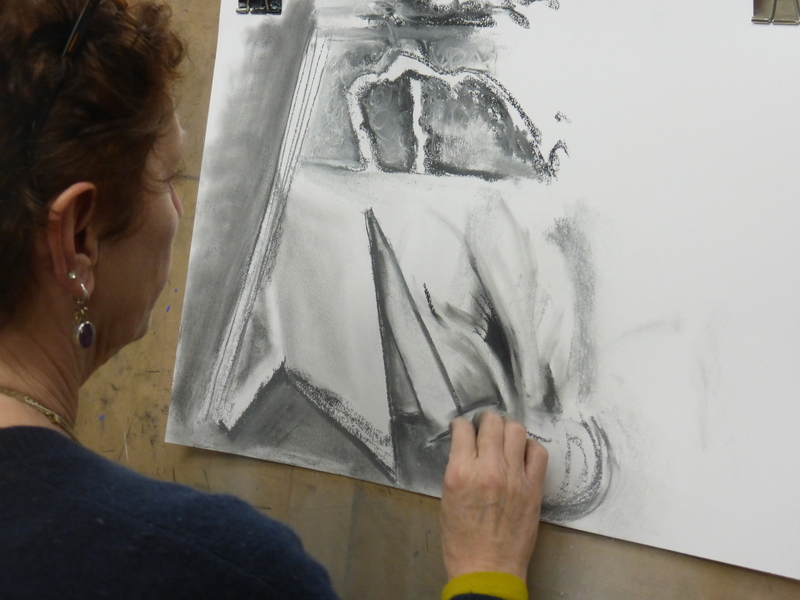 Based on Heather Spear’s book The Creative Eye – the course retrains students in a new approach to drawing and is therefore always quite an emotional, challenging, yet rewarding journey. There is no course quite like it! I was so thrilled to see what the students have accomplished and how their drawings have developed over the 6 sessions. I think it quite appropriate that Amanda sums up her course experience as “Bloody hard work! Fascinating! Uncomfortable! Disturbing! Distressing! Amazing! Fun! All of the above – but ultimately EXCELLENT and VERY REWARDING.” I agree with her – but read further to find out what the other students thought.